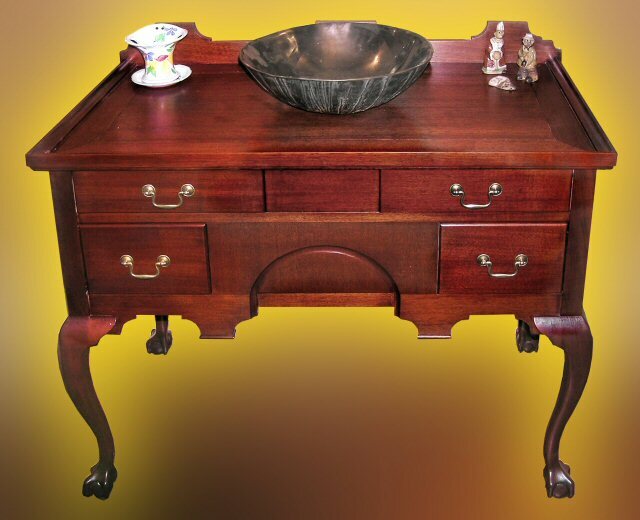 This is a Queen Anne style Vanity, it has a ball and claw leg design. 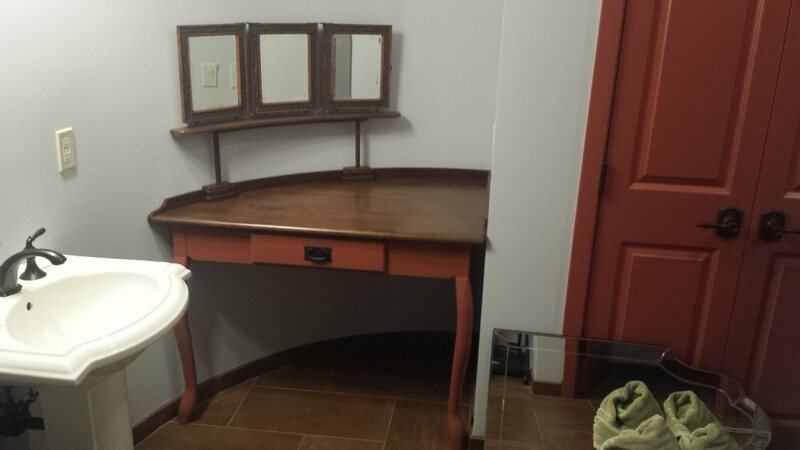 This vanity is made from mainly Mahogany. There is a cherry inlay on the tabletop and the drawer bodies are made from poplar. 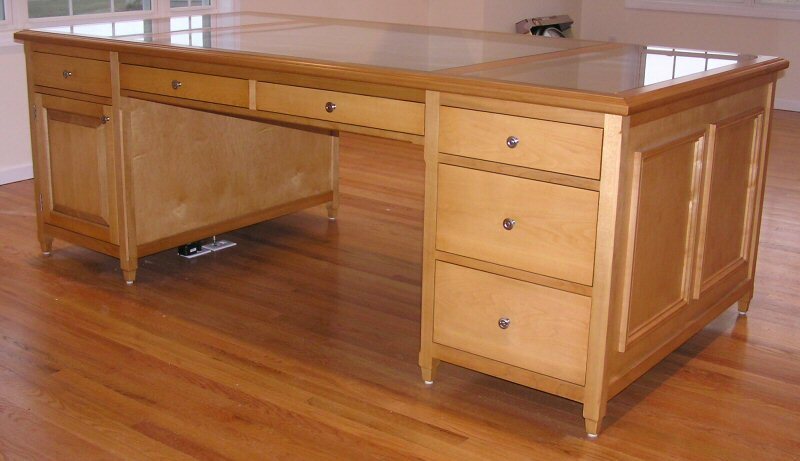 The drawers are dovetailed and ride on a simple wooden track and groove system. It resides in a home in East Granby, CT. 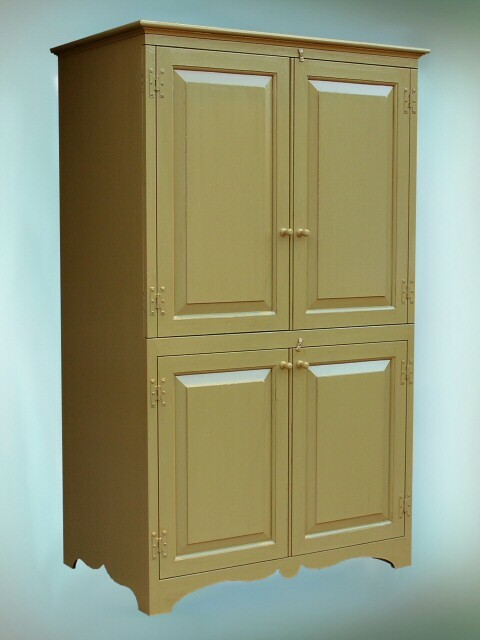 This is a Antique Style Cabinet designed to hide a TV and audio/video equipment. It has been distressed and is painted Antique Yellow and then glazed with a tinted glazing compound. The doors and frames have been hand planed. The doors use antique style "H" hinges, butterfly latches and Shaker style pulls. The upper doors are double hinged, a set on the doors and a set on the face frames, so that the doors can swing open and lie flat on the sides of the cabinets. The top is bullnosed with a small cove molding underneath. This cabinet resides in a house in Hampden, MA. 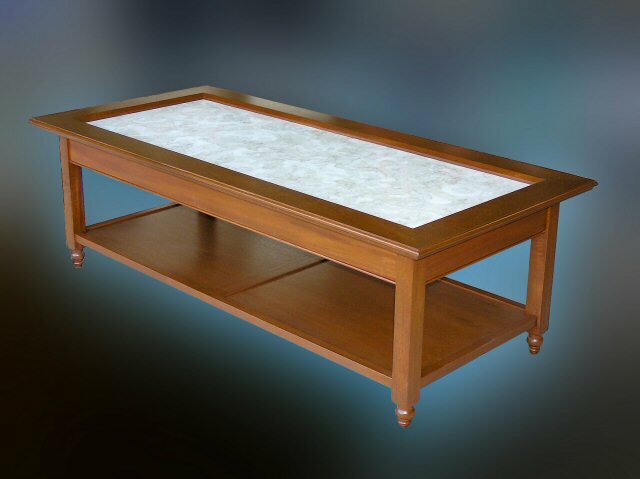 This is a Mahogany Coffee Table with a marble inlay. 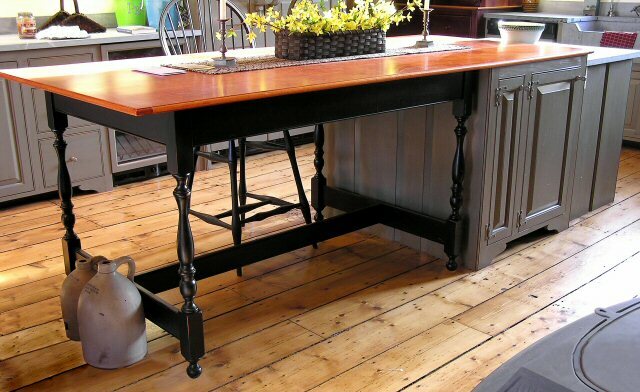 The top is a picture frame style design and has an antique style bullnose around the edge. The marble is recessed below the surface of the wood. The legs are turned on the lower section, in a bun foot style. The aprons have a bead running along their length. The shelf below the top is made from a veneered plywood. The color is two toned, made by applying a yellow-red dye first then covering that with a brown stain. It is clearcoated with a pre-catalyized lacquer. This is a Curly Maple coffee table. 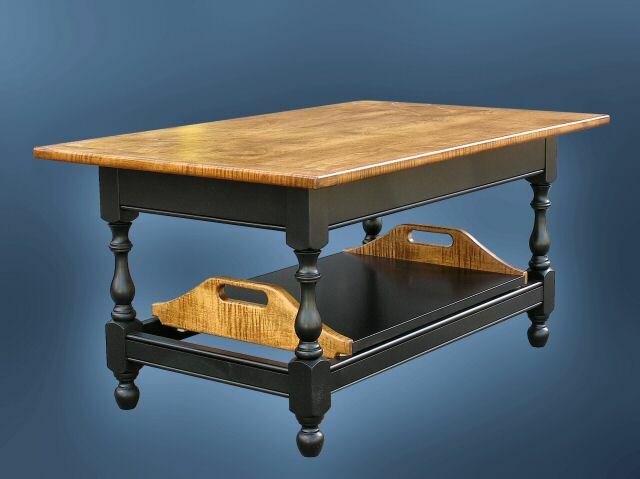 The base is made from poplar and coated with a black low sheen lacquer. 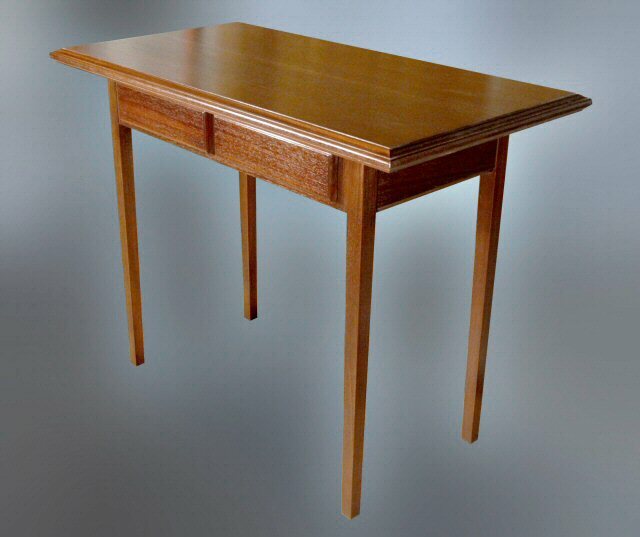 This is a simple top with breadboard ends. The edges are rounded over to form a modern bullnose. The top is colored with a yellow-red dye, wiped down with thinner and recoated. This gives the deep tiger stripping from the maple. 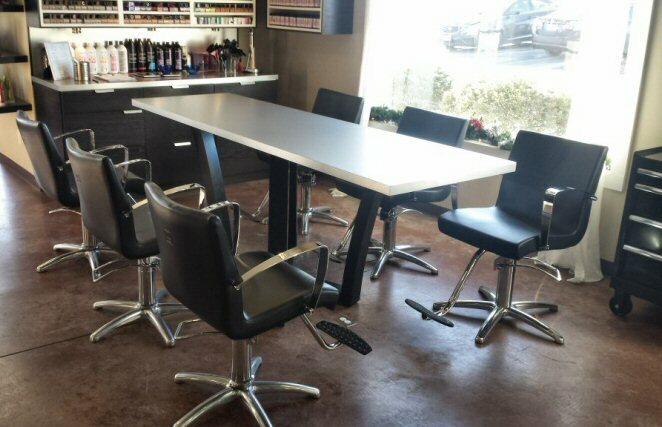 The tabletop is clearcoated with a high gloss pre-catalyzed lacquer. 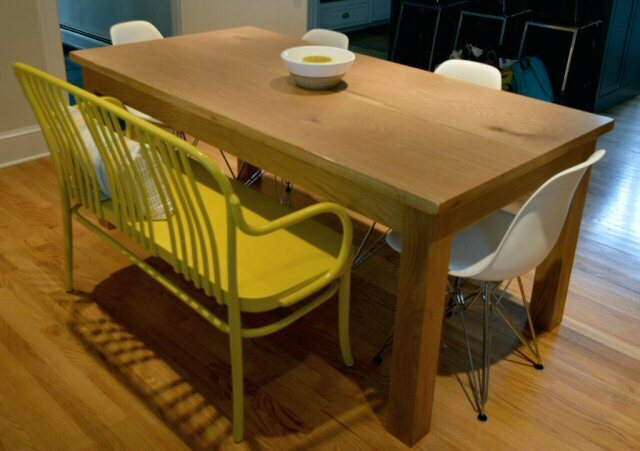 This table resides in my home. 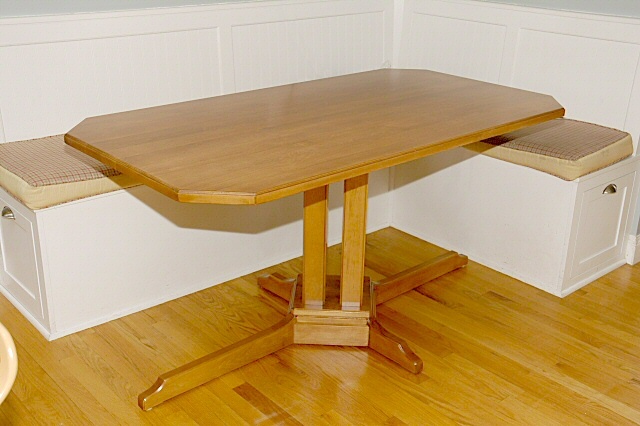 This is a Maple desk with a simple yet very functional design. It has 3 glass blotters on the massive 4' x 8' top. On the left is a door that has access for a computer, a printer and a wireless modem. The center has two pencil drawers for ample storage of writing necessities. On the right are another 3 drawers, the two lower ones set up for filing of Pendaflex type folders. The right hand rear panel is removable for a secret storage space. 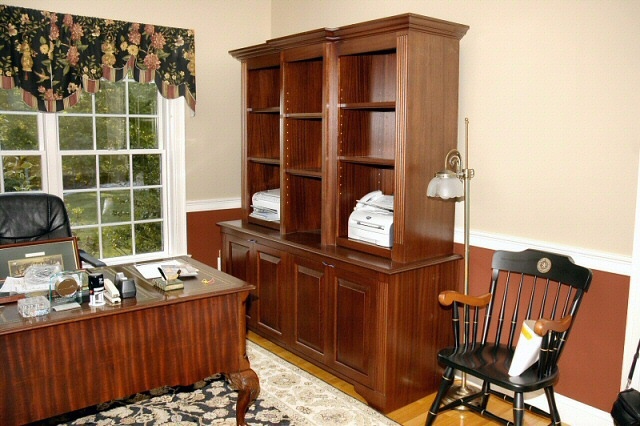 This desk resides in Suffield, Ct. 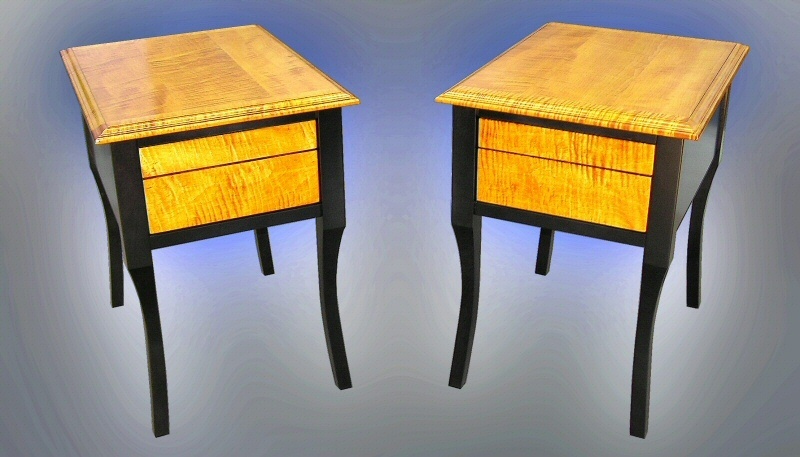 This set of bedroom end tables will go on either side of a bed. The base is made from Maple and The tops and drawer fronts are made from Curly Maple. The Tiger Maple top and drawer fronts are colored with an orange dye and clear coated with a pre-catalyzed lacquer with a semi-gloss sheen. The base is stained and toned black. The grain is visible although muted. 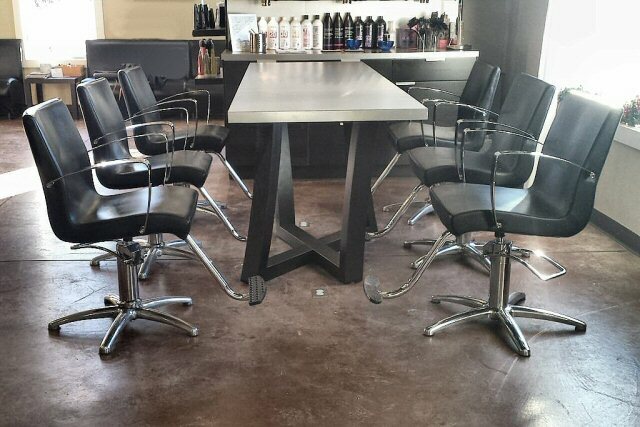 It is coated with a satin pre-catalyzed lacquer. The top drawer was designed for reading glasses. These pieces resign in Illinois. 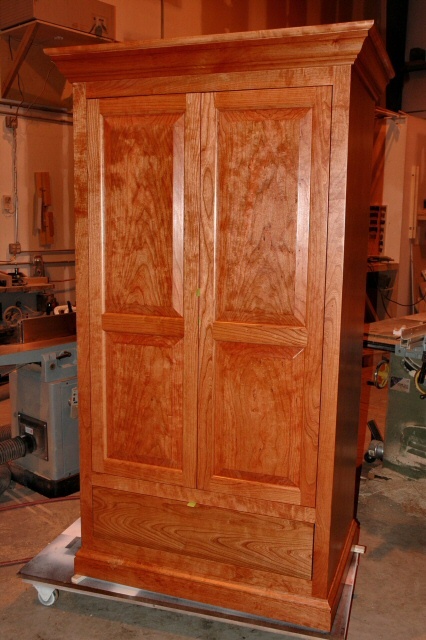 This armoire is made from select Cherry, stained with Watco Danish oil and clear coated with a satin sheen pre-catalyzed lacquer. It is set up to go in a bathroom for towel storage and such. 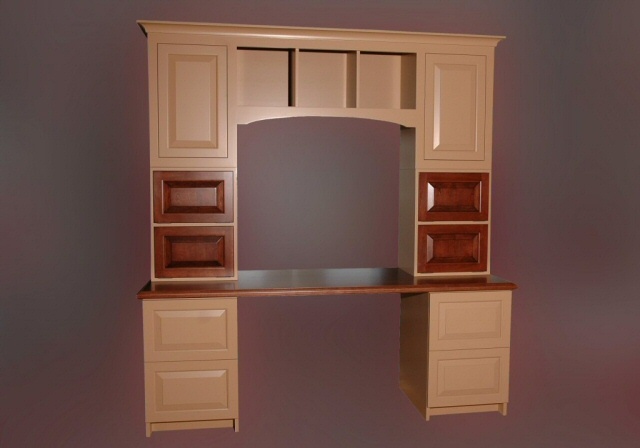 It has several adjustable shelves for storage as well as a lower drawer. The drawer is made from Poplar and is dovetailed. By removing the shelves and installing a rod it can be used in a bedroom setting in place of a closet. This was common practice in homes without ample closet space. This piece resides in West Hartford, CT. This computer desk is made from Soft Maple and Birch. The Maple was painted Brown Sugar with a pre-catalyzed lacquer and the Birch was stained a custom made medium brown and clearcoated. The raised panel doors swing on European concealed hinges and the dovetailed drawers slide on undermount self close slides. The raised panel drawer fronts on the right side are for filing folders and on the left hold a printer and wireless peripherals. The upper Birch doors flip down and operate as a push to open and push to close. 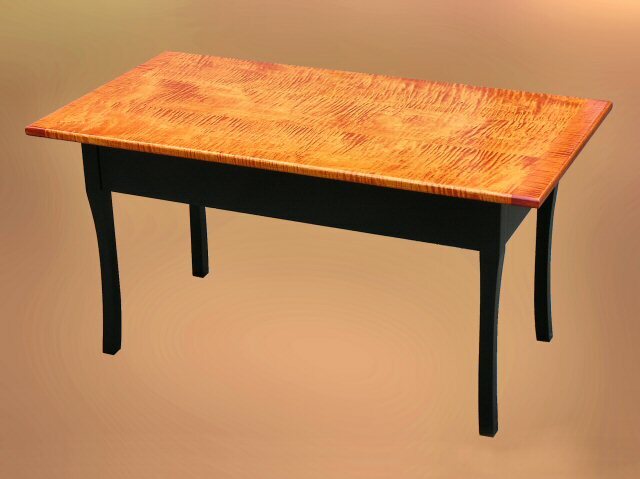 This desk resides in W. Hartford, CT.
a skirt wrap to make the base more substantial This table resides in West Hartford, Ct.